The Sunday Times claims it's 'The greatest novel you've never read'. It's certainly exquisitely written. Trying to explain the appeal of Stoner is no easy task. John Williams’ novel is the story of the most unexciting of lives. It’s been praised by writers as diverse as Adam Foulds, Julian Barnes, Nick Hornby and Ian McEwan. But for over 20 years, Stoner was almost forgotten. Now, it’s become a ‘must read’, trumped as ‘the greatest novel you have never read’ by the Sunday Times and lauded by Brett Easton Ellis of American Psycho fame as ‘A great American novel’. Let’s begin though with the problem of the title. A novel from the 1960s with a title like that? Worry not, kids – it’s emphatically not what you think, though it is, perhaps, a Catcher in the Rye for the middle aged, a sort of bildungsroman for those for whom life seems to have taken a few wrong turns. Stoner is the eponymous hero; protagonist or central character might be a fairer term for this is a novel about failure, but John Williams himself, in a rare interview, was clear: Stoner is indeed a hero. From uneducated farming stock, aged 19 he enrolls as a student of Agriculture at the University of Missouri. A compulsory English class, in which he does not particularly excel, leads to a certain sense of self-discovery. An ageing professor recognises his gift for literature and Stoner leaves Agriculture behind, switches to English, completes a Masters and then a PhD, often working to fund his studies. From the outset, this will not be the most glittering of careers. His thesis on the impact of Latin literature on Medieval and Renaissance writing is suitably obscure, with an almost pedantic level of scholarship which seems, as the twentieth century progresses, increasingly archaic. He never leaves the University of Missouri and is scarcely promoted, being sidelined in the petty internal politics of the English Department. He publishes little. Stoner’s failed but continuing marriage, his yearnings for love and his intellectual integrity cost him dearly. Some kind of stoicism seems to help him endure. He is a dedicated if uninspiring teacher, whose students do well, but rarely is he fondly remembered, nor do his students leave with any sense of gratitude, though around his name rest a number of legends. 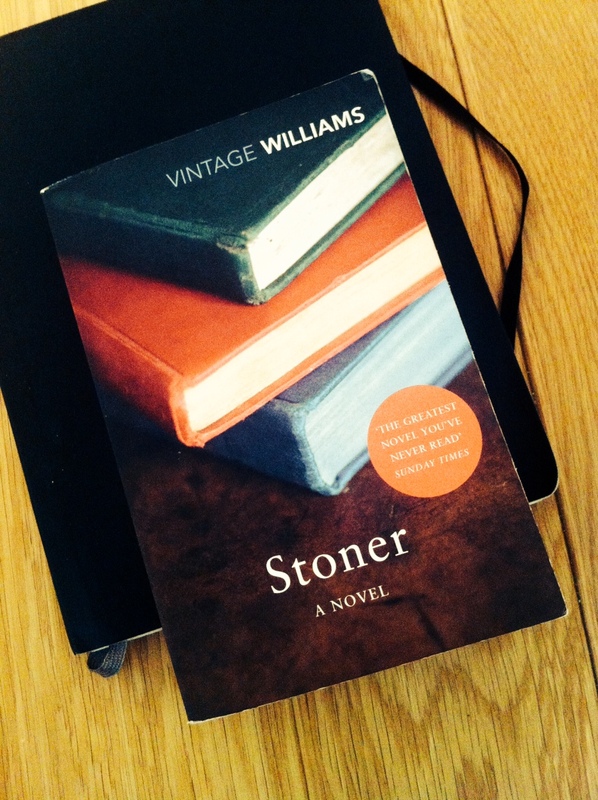 Yet it is the character of Stoner who entices the reader. Touchingly, Williams creates a character for whom somehow the reader feels enormous sympathy. We are taken into Stoner’s inner turmoils, bitter conflicts and painful regrets. His physical fortitude as a young man, his ability to survive emotional trauma and material suffering, and his quiet defiance mark him apart: ‘William Stoner knew of the world in a way that few of his younger colleagues could understand. Deep in him, beneath his memory, was the knowledge of hardship and hunger and endurance and pain.’ By his forties, ‘he is nearly as lean as in his youth when he had first walked in dazed awe upon the campus that had never wholly lost its effect on him.’ His demise is painful reading, a sort of university Death of a Salesman. This is an intensely personal history, but it is also as much the political and social history of the twentieth century: two world wars, the crash of 1929, changes in sexual mores – all have their impact on the novel. And perhaps its success is down, too, to the way in which Stoner’s history is the history of all too many academics, teachers and writers. Few reach the heights of fame for which at one time they might seem to have been destined. One hesitates to use terms such as ‘universal’ (I’ve studied far too much literary theory to fall into that trap) but at core Stoner touches upon the sense of a fallen world, of something lost and irretrievably missing. Don’t expect violent turns of plot, nor penetrating moments of originality. Do, however, read gently and savour – though if the truth be told, I devoured it in 24 hours. For this is exquisite, polished prose, closely observed and haunted by the emptiness and hunger and intensity which marks out the most powerful of writing.